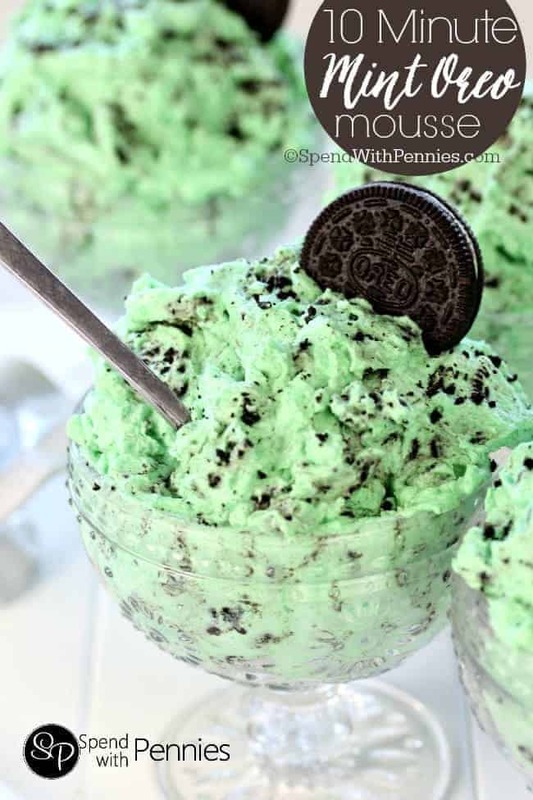 Chocolate Mint is one of my favorite flavor combinations which must be why I love Mint Oreos so much! 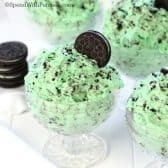 A fluffy and rich minted mousse with Mint Oreo bits! 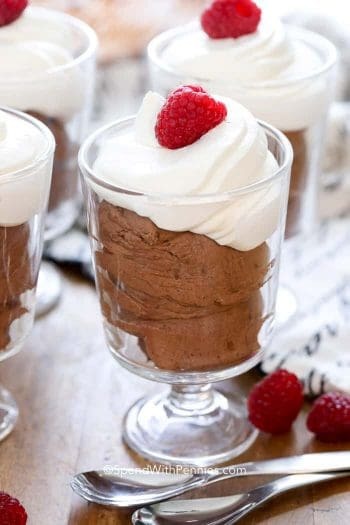 This is one of the most simple mousse recipes you’ll ever make and also one of the yummiest! 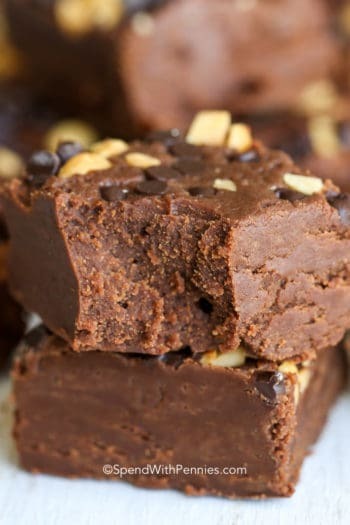 If you’re looking a really quick and easy dessert, you’ll love this because it can be served right away or prepared ahead of time and refrigerated. 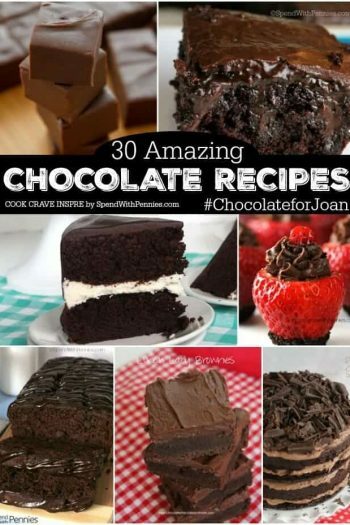 The addition of the instant pudding mix make this the perfect consistency to use as a cake filling inside your favorite layered chocolate cake recipe! Whisk together milk, pudding mix, 1 teaspoon mint extract and a couple of drops of food coloring. Refrigerate 5 minutes. Add remaining 1/2 teaspoon mint extract & a couple of drops of green coloring to heavy cream. Whip until stiff peaks form. Fold together pudding mixture & whipped cream. Gently stir in chopped Oreo cookies.